What kind of headphones do you wear? 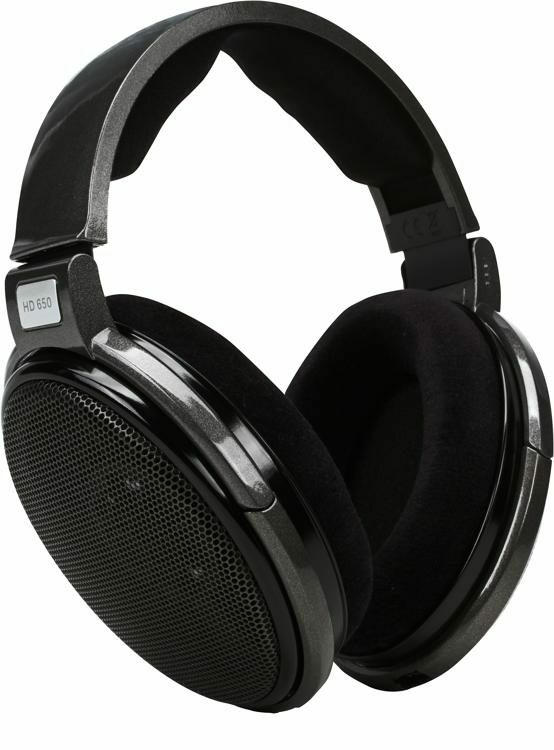 I've checked out Sennheiser and Denon sets before, but they're always so damn expensive. I do want a high end set, but I can't bring myself to pay what it costs. What sort of sound are you looking for, and how much are you willing to pay, in general? I just want something with good, detailed, full sound. With clear bass, but nothing ridiculous. I just settled on that JBL pair a few days ago, so I'm not gonna throw more money in that direction any time soon, but if I decide to invest in something nicer, then probably 80 pounds or so at most. Had to get a pair to bring with me quick, so I just went with the easy option since selection wasn't great in stores where I live and I didn't want to wait for something from an online store right now before christmas. Nice! What amp are you driving them with? I have an ONKYO A-809 amplifier. Weight ca 18kg/40lb. Between my computer and the amp I have connected a BENCHMARK DAC1 (the DAC1 is a reference-quality, 2-channel 192-kHz 24-bit audio digital-to-analog converter) and my loudspeakers is 4 x DALI CONCEPT 10. Sounds really good in my opinion/ears. Last edited by vinyl collector; 12-12-2018 at 05:12 AM. Wow! Those look like some industrial strength tunes. Last edited by Akai; 12-12-2018 at 09:27 PM. I rock a pair of ~$30 Koss with mouth-piece microphone that can swing up and down , which is handy for teleconferences, gaming, and taking computerized exams that involve audio components (in fact that's why I bought them, as they are used at Prometric centers across the USA).